We decided to explore the option of building a house as the ‘new build’ option where we live is about the same price as buying a home that is a few years old. One option when building is to choose a lot within a neighbourhood, choose the floor layout you want and then choose everything else yourself. Anything that isn’t classed as standard has an additional upgrade price on it. We didn’t choose to do this. We chose to pick a house where the construction had already started. This meant that certain options were already included in the listing price and we then got to change things like paint colour, cabinet stain, carpet style & light fixtures. For us this worked out perfectly as we didn’t have too many decisions to make. 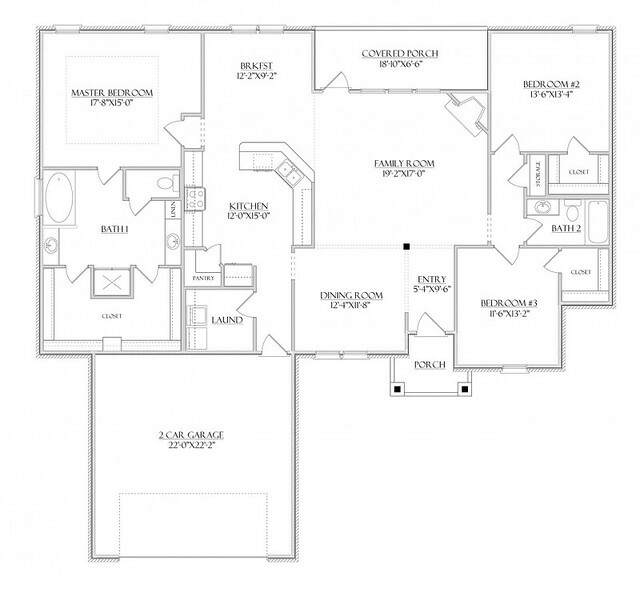 This is the floorpan that we chose. Our house is at the bottom of a cul-de-sac and we were the second family to move in. There are still 4 houses on the road that are being built; quite a few of the houses that are complete have offers on them so we will be meeting new neighbours very soon! The neighbours we already have are awesome, which makes living in America on our own much easier! For me, the best part of the building process was going back every couple of days to see what else had been done. 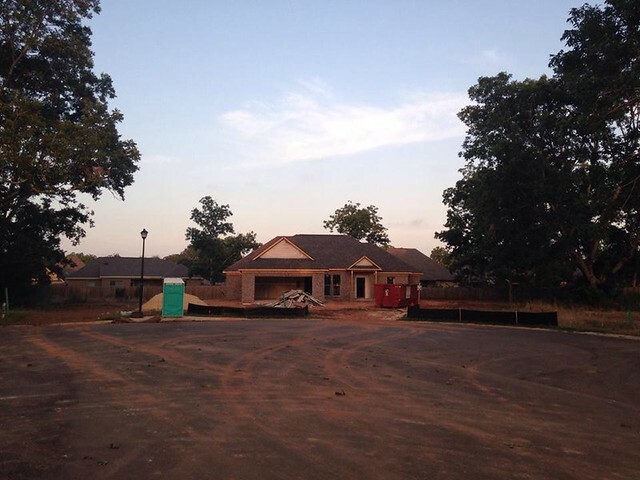 Watching your home being built is amazing…it also made us wish that time would pass much quicker than it was doing! Having access to the house also meant that we could go and measure for furniture any time we needed, which in turn helped my organised little mind get everything ready for moving day! Our actual move in date was 23rd September 2016. We moved a lot of stuff over that weekend with the help of friends ( + their trucks and trailers!). Even though we have been in our lovely new home a few months now, we still have a bit to sort. Everything is unpacked and in place, we just need to work on the decor to make it feel a little more like home. I was going to take a few photos but instead I made a house tour video! Hope you enjoy it 🙂 I’m hoping to do a few more vlogs soon too! Happy New Year! Yes I’m really blogging again! Haha! At one point they were barking so loud…just as I pressed record! Typical! We already feel very settled and love the house 🙂 Thank you! Haha! I did think about a sewing room…if I get back to sewing more I might change it 🙂 I keep thinking that I’m losing my accent, glad you can still hear it! We do feel really settled in the house, feel like I need more curtains up to make it even more homely. Wonderful tour and a lovely home – thank you! Wow, American homes are really different to English ones, aren’t they? Laundry room AND a walk-in wardrobe (sorry – closet). A video tour is so much better than photos at showing what your house is like. Love it! Yes very different! But we did live in a bungalow when we lived in England so we’ve not had to deal with any stairs for quite a few years! Haha! Glad you liked the video! What a lovely home! (I’m not jealous at all of that enormous closet. 😉 ) Great yard for your little pups. Wishing you all (2- and 4-legged family members) many, many happy times. And sending healing thoughts for your mum. Thanks Jen! The dogs LOVE the yard 🙂 hope you’re doing well too.